Jungle is a special structure for the JUNGLEUP discipline. The idea is to turn the jungle into a enviroment for training the body, mind and instincts. Are you ready for the fitness revolution? 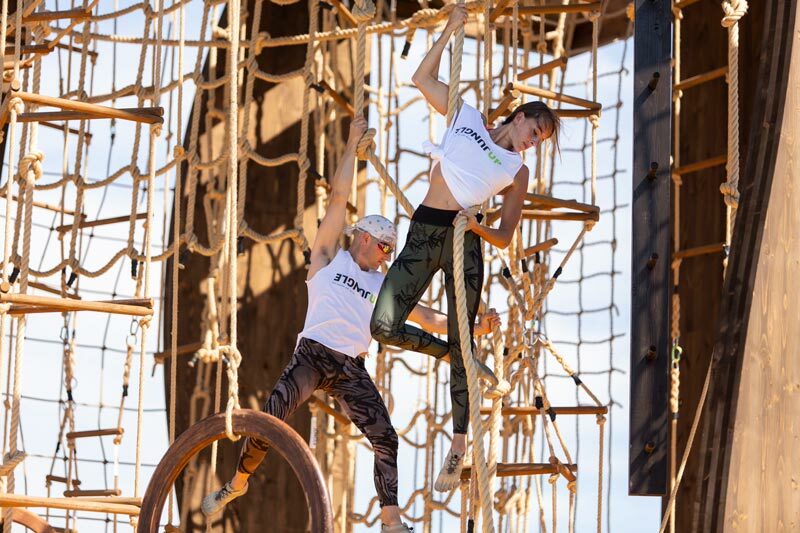 The Jungle is a place for sharing a healthy competition and for individuals and group training. It is also an effective tool for team building, family unification, thanks to specially developed protocols. Jungle enviroments are designed to minimaze your space become an original item of urban furniture and make a pratical exercise part of every day life. The structure is presented in three different versions with heights ranging from 4 to 8 metres. The basic structure can be customised with over 200 items of equipment. Original lighting, audio and music systems are also available to accompany all phases of training. JUNGLEUP is avaiable in differents structures to match the space you have available. 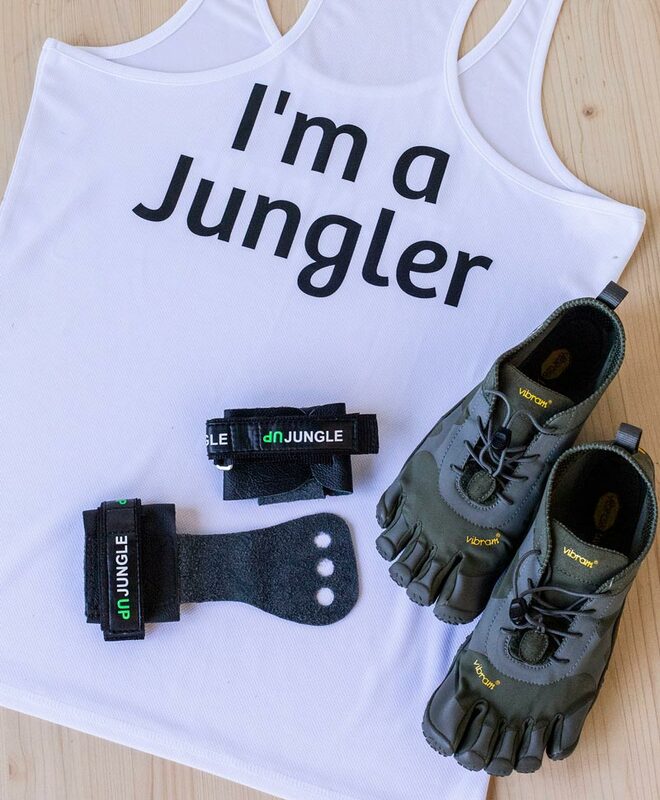 JUNGLEUP has developed a dedicated line of clothing and accessories. In collaboration with leading brands, we also offer a dedicated range of foods, beverages and essences.